I thought I understood Postpartum Depression- deeper despair than the baby blues, regretting the choice to have children, scary thoughts about harming yourself or your children. I didn't know it looked like this: rage, guilt, anxiety, loss of appetite, insomnia, irrational fears, the inability to concentrate, indecisiveness & irritability. I had so many risk factors that increased the likelihood of developing PPD- twins, a high-risk pregnancy, preterm labour (twice), a traumatic birth, two premature babies & a 4 week NICU stay. None of this was "normal" but I convinced myself and almost everyone around me these intense feelings were just part of the experience of having twins and becoming a parent for the first time. Eventually it caught up with me. Nearly two years after the boys were born; I quit my job and with encouragement from my husband, began to see a psychologist regularly. After several weeks of counselling, it became clear that no amount of stress reduction, yoga or talk therapy was going to help so I made the difficult decision to start taking medication. It can take up to 8 weeks at the full dosage to see the full benefits but I was lucky. My mood and perspective changed in a matter of days. I now know that I've been dealing with Postpartum Depression, Anxiety and exhibiting some signs of Postpartum PTSD. This is not unusual for mothers of multiples. We are more likely to develop postpartum mood disorders due to the high-risk nature of the pregnancy and added challenges of caring for more than one infant. 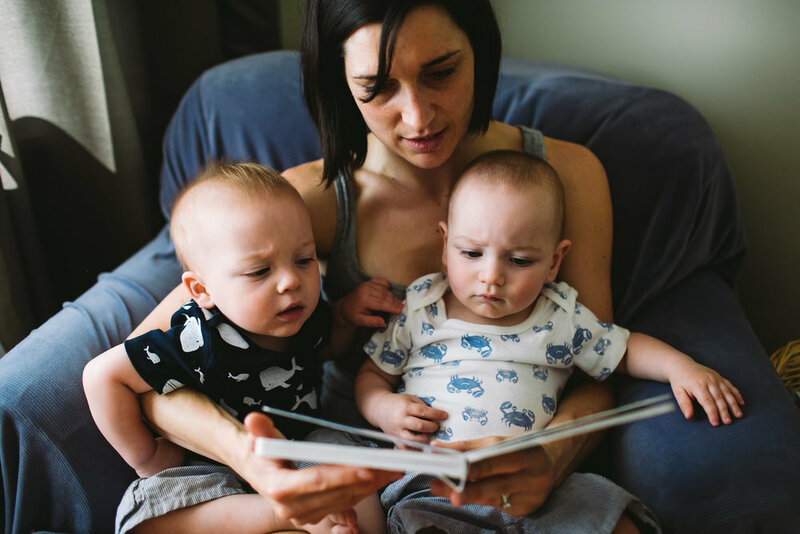 If you recognize these signs or symptoms in yourself or someone you love, don't dismiss them as being part of the added workload of having twins. Consult a doctor immediately. And, don't be afraid to ask for help. It has allowed me to feel like myself again and truly enjoy every day with my husband and our two beautiful boys.